Always snobby monstrous carp there. Awesome. Yes, I know where yer at.. This guy couldn't resist; practically flew outta the water for the bug. Topwater smallies is the best. That's a fine smallie for any river imho. Nice. Also, it always amuses me to see how redeyes can get those big poppers in their little mouths. 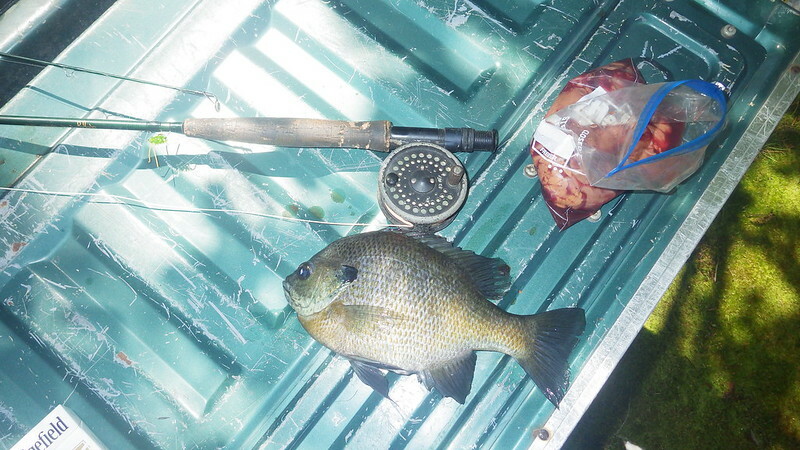 Maybe I can stir up some bluegill freaks. I guess you and me are the only bluegill fans around these parts, JT. 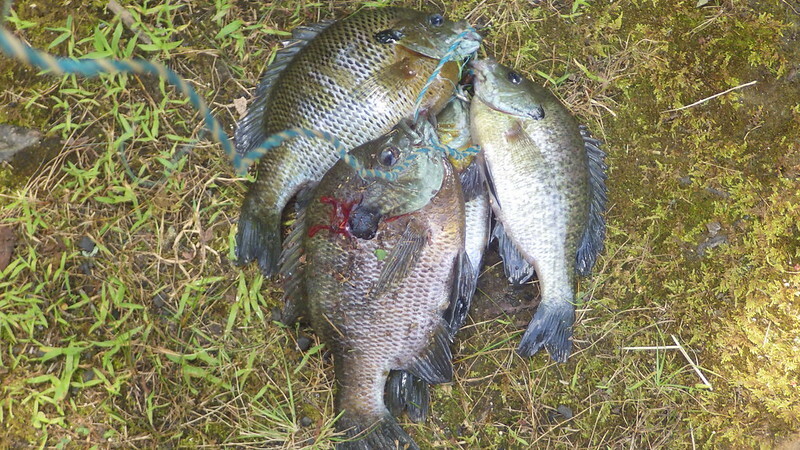 One thing I miss about GA is I had a pond down the road from house that was loaded with big brutes of bluegill. 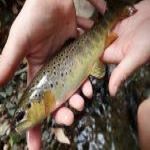 You could always count on catching a couple of those and they fought really good on a fly rod. 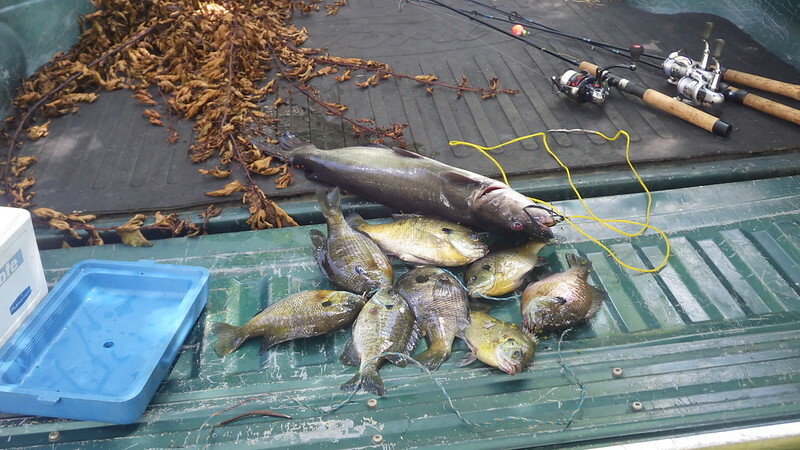 Georgia had a good climate for pond bluegill. Summertime and the living is easy.......looks like the fishing was pretty good too. Great report. J and I are planning a 2 day musky float for next month. Sweet BeJeezus! Way to go Dave!